Dr. A. John Camm's session at AF2017 highlighted the importance of screening for atrial fibrillation in modern health environments. 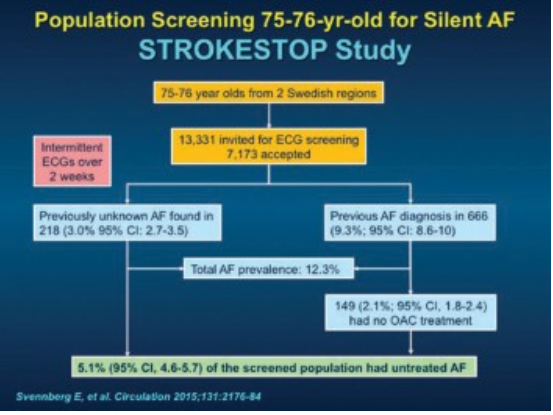 At first sight, it seems obvious that we should screen the older population for atrial fibrillation (AF), A. John Camm, MD (St. George’s University of London and Imperial College, London, United Kingdom) said to AF Symposium News before his presentation. “After all, this is a common condition in the elderly that often exists in an asymptomatic, subclinical form, and can be easily diagnosed and treated to prevent serious consequences such as death, debilitating stroke, heart failure, recurrent hospitalizations, and loss of work and independence. 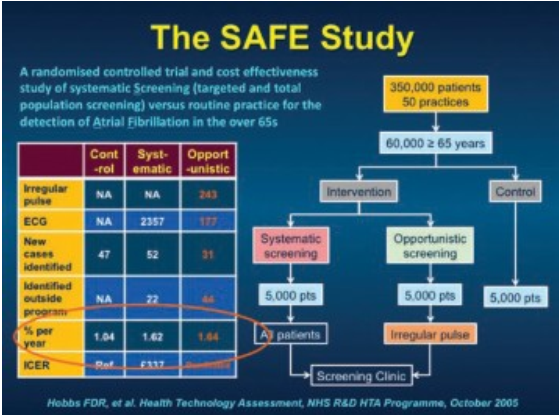 So, why is AF screening not instituted in modern health care environments? 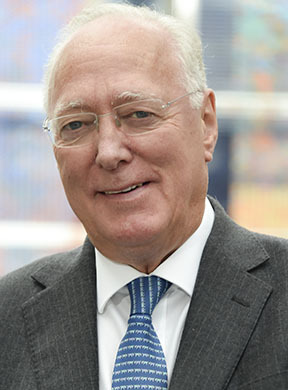 There are criteria for conditions for which screening is appropriate that have been endorsed by the World Health Organization, and screening for atrial fibrillation seems to ‘fit the bill.’ However, screening councils/agencies around the world have resisted pleas of physicians to introduce screening for AF,” he continued. 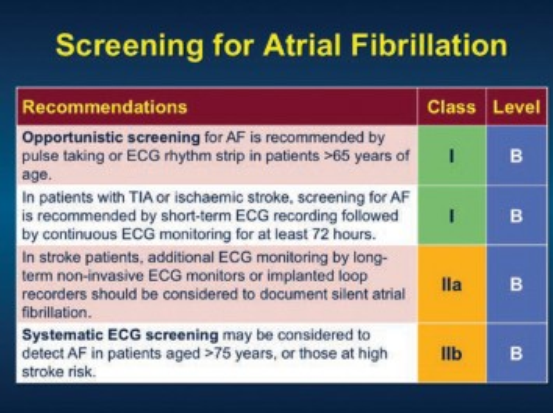 It has been argued that asymptomatic AF, revealed by screening programs, may not have the same likelihood of complications as AF presenting clinically. Multiple epidemiological studies that have relied on occasional ECGs suggest otherwise. Sub-analyses of randomized clinical trials such as AFFIRM, or carefully collected registries (e.g., the Belgrade study, EURObservation study, etc. ), also suggest that complications are not significantly less, and sometimes occur even more, than in AF that has presented clinically. According to Dr. Camm, “In the last few years, several circumstances have come to the fore in which we are less certain of our ground. We can now observe short runs of asymptomatic atrial tachyarrhythmias on the logs of implanted devices such as pacemakers, ICDs, and monitors. We might be sure that the arrhythmia is ‘atrial fibrillation,’ but we are not confident that the associated risk of thromboembolism is significant and usefully reduced using anticoagulant therapy. The stroke risk is almost certainly less than when the arrhythmias present clinically, but may still be enough to warrant treatment.” Clinical trials are underway, but meanwhile, physicians have little guidance as to how to treat these patients. He added: “Similarly, a problem presents in patients who have suffered an embolic stroke of uncertain cause and undergo continuous ECG monitoring, which then presents a spell of asymptomatic AF — perhaps weeks, months, or years after the ischemic event: is anticoagulant therapy better than antiplatelet treatment?” Again, clinical trials will provide evidence, but results will take time. All forms of screening have not yet been thoroughly evaluated. He noted that governments, councils, and agencies responsible for the introduction of AF screening programs are also worried that identifying patients with asymptomatic arrhythmia will lead to more than simply recommending stroke prevention therapy. Patients would undoubtedly be evaluated regarding the burden of the arrhythmia, subclinical symptoms, ventricular dysfunction, left atrial fibrosis, underlying comorbidities, etc.